Good morning! Another late post again today- sorry! We are taking the kids ice skating today, so I want to dress warm and comfy (seems like I say this every day- warm and comfy are definitely my style!). 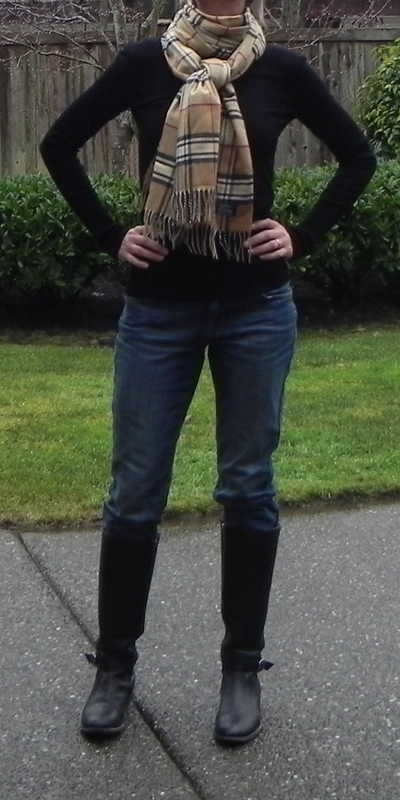 I chose a very plain outfit of jeans and a black turtleneck- and then dressed it up with a Burberry inspired scarf. Simple, casual and warm. Enjoy your Sunday- what do you have planned? This scarf adds a bit of polish to my plain look.